The tried-and-true remedy to a New Year’s hangover is simple: a bacon, egg, and cheese bagel sandwich, a giant bottle of Gatorade, and something good to binge. For that last part, the key is choosing the right movies or shows to watch. Understated dramas with subtitles aren’t recommended when frequently dozing off on the couch, so save that Ozu marathon for another day. But short episodes of stand-up comedy? Perfect. Netflix has already declared itself king of stand-up specials, and you could easily bring in 2019 working through its extensive catalogue of specials from Hasan Minhaj, Ali Wong, and John Mulaney, or by watching Nanette 10 more times (honestly, not a bad idea). But Netflix, the Miss Trunchbull of modern day entertainment to our weak and indulgent Bruce, will continue to stuff our faces with endless specials until we explode, so of course more is on the way. 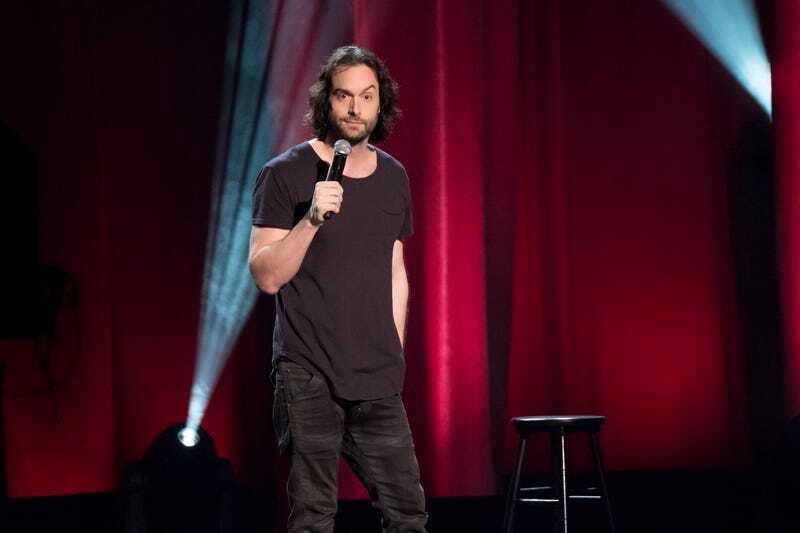 On January 1, Netflix will release the massive comedy event series Comedians Of The World. Filmed during the Just For Laughs festival in Montreal and other locations, the series will feature sets from 47 comedians hailing from 13 different regions in eight languages. There will be some familiar names, like Nicole Byer, Chris D’Elia, and Nish Kumar, but there’s also a chance to discover a new favorite with comics hailing from Australia, South Africa, Germany, the Middle East, Brazil, and more. With half-hour sets—perfect to watch in between naps—that total nearly 24 hours, the whole special will literally take you all day to watch. Not a bad way to kick off the year. Check out the full list of comedians below, and maybe order a couple bagel sandwiches; this thing will take a while to get through.